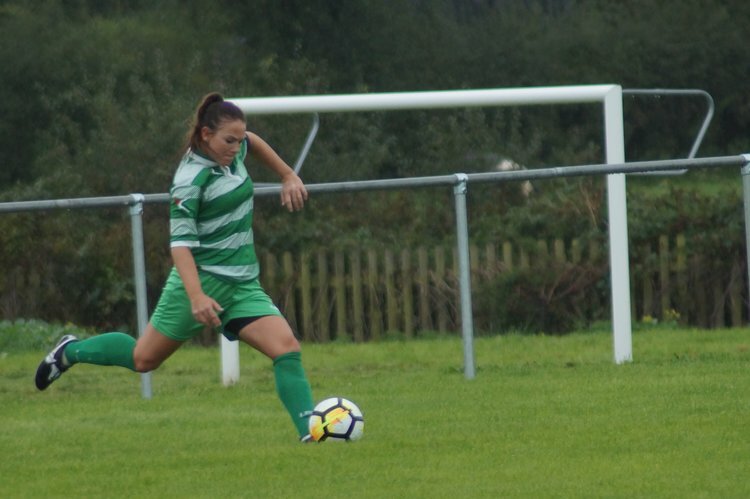 TNS Ladies will be relieved to be in the hat for the next round of the FA Women’s Premier League Cup, having survived a tie versus Crewe Alexandra Ladies that went the full distance. Mirroring the men’s senior team who were in action the same afternoon, the game went to the dreaded penalty shoot-out. Like their male counterparts though, Andy Williams’ team also made it into the next round. Three times TNS found themselves in front in a game played in difficult conditions, and three times they were pegged back by a determined Crewe side that was always dangerous on the attack. Crewe had escaped two early scares when TNS finally took the lead from a 19th minute corner, with Steph Taylor eventually forcing the ball over the line. However, the visitors responded well, immediately forcing TNS back and scoring with a tap-in, following one of their many dangerous counter-attacks. 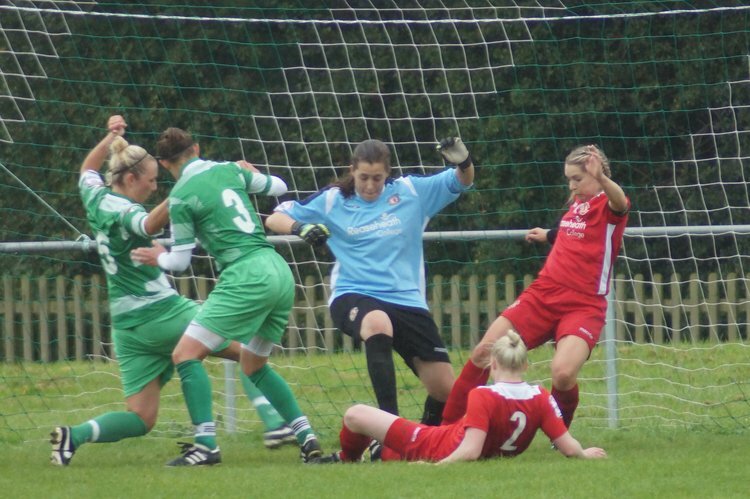 The home side restored their lead on the half hour, when Charlotte Canlett converted a direct free kick beyond the reach of the despairing Crewe keeper. Yet within three minutes the roles were reversed as the reds levelled in similar fashion, again another wonderfully taken free kick. Both sides managed the conditions much better after the break, however chances were few and far between. As they pushed for the all important winner, changes were made by the respective managers. As the clocked ticked towards full time, both clubs had chances that would have seen them through. It wasn’t to be though and as the whistle went it ended 2-2 after 90 minutes. 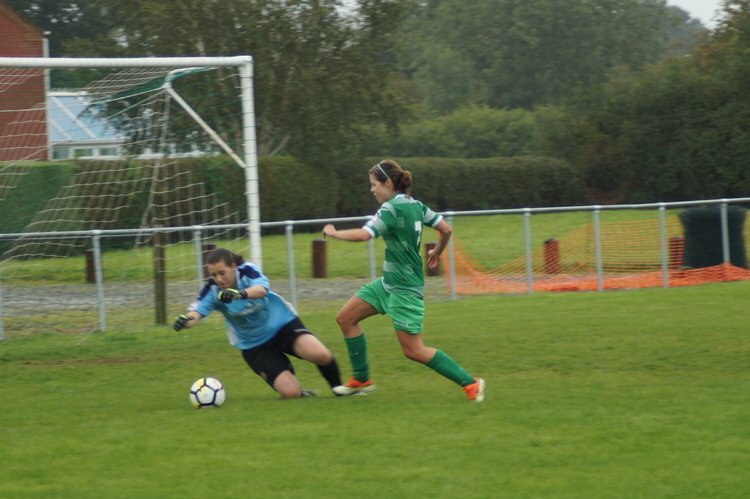 TNS ladies thought they’d found that winner on 106 minutes with Emily Ridge latching on to a through ball from Stacey Garnham, before unleashing an unstoppable drive into the roof of the net from 25 yards. Yet Crewe came back at TNS with a powerful header from a right wing corner finding the back of the net. 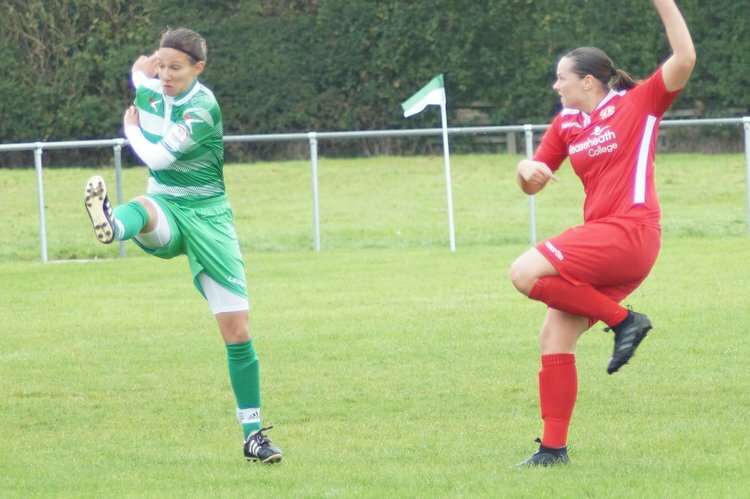 The disappointment was short-lived though, as TNS Ladies held their nerve, wining 5-4 in a penalty shoot-out where they were always had their upper-hand from the first kick. “We’re all naturally really pleased to get over the line today. I thought Crewe LFC were well organised and a constant threat with their pace. To be honest the game could have gone either way, so I guess Lady Luck was on our side today in the shoot-out.” he concluded. Photos courtesy of Adam Reapa.